Swiss-Belhotel International is inviting members of KrisFlyer, Singapore Airlines’ popular frequent flyer programme, to earn Triple miles when staying at its properties in Australia and New Zealand. Under this enticing new promotion, guests who book qualifying stays at any of Swiss-Belhotel International’s five hotels in the two countries will be rewarded with bonus KrisFlyer miles. Throughout June and July, three KrisFlyer miles will be awarded for every one US dollar spent at Swiss-Belhotel International’s popular hotels in Sydney, Brisbane and Auckland, and its two impressive properties in Queenstown. “We are delighted to launch this exciting new promotion for KrisFlyer members,” said Gavin M. Faull, chairman and president of Swiss-Belhotel International. “As one of the world’s leading airlines with an extensive network in Australia and New Zealand, Singapore Airlines is the perfect partner for us. We look forward to welcoming many more of their esteemed frequent flyers to our properties in future,” he added. Swiss-Belhotel International currently operates two hotels in Australia: Swiss-Belhotel Brisbane and The York by Swiss-Belhotel, Sydney. 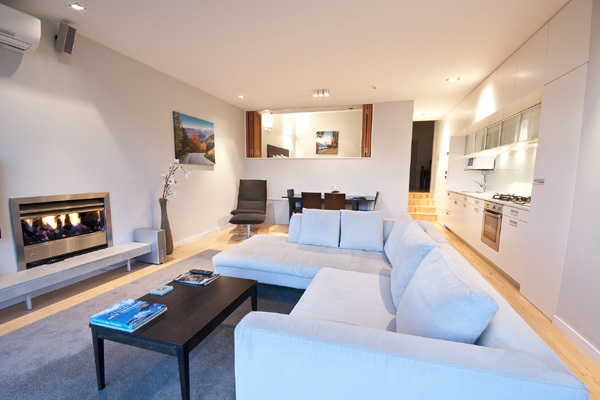 Across the Tasman Sea in New Zealand, the company operates three properties: Swiss-Belsuites Victoria Park, Auckland; Swiss-Belresort Coronet Peak, Queenstown; and Swiss-Belsuites Pounamu Queenstown. Australasia is a key area of growth for Swiss-Belhotel International; the company recently announced plans to double its portfolio in the region from five to 10 properties within the next three years. This is expected to include new openings in key cities such as Sydney and Melbourne. Singapore Airlines currently serves nine destinations across Australia and New Zealand: Adelaide, Brisbane, Canberra, Melbourne, Perth, Sydney, Auckland, Christchurch and Wellington.